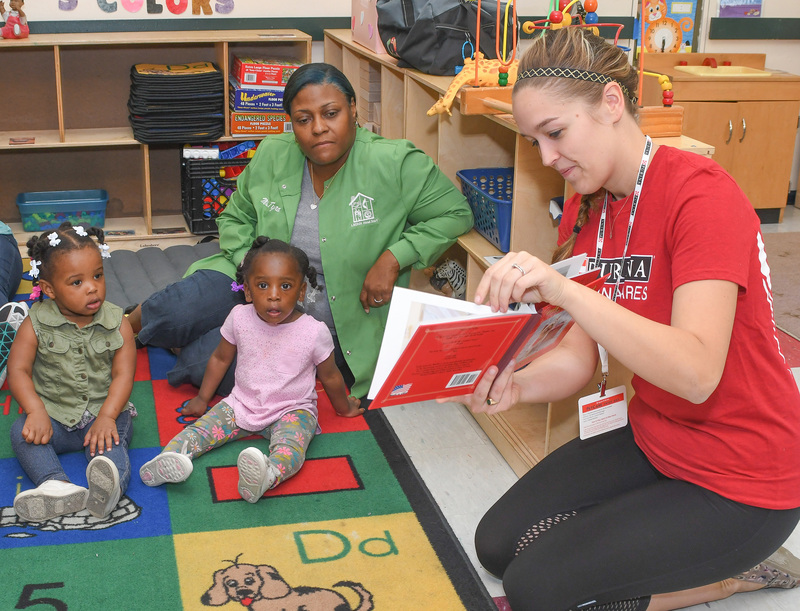 ST. LOUIS, May 24, 2017 /PRNewswire/ -- Demonstrating an ongoing commitment to enriching the lives of pets and people, 1,400 Purina employees blanketed the greater St. Louis area on Tuesday during "PetCare Pride Day," the company's annual volunteer day. In its 16th year, PetCare Pride Day reached more than 20 non-profit organizations in Missouri and Illinois. Employees also volunteered at area pet shelters, including Belleville Area Humane Society in Illinois, where work included painting the building inside and out, installing new doors, making updates in the adoption room and adding new fencing and landscaping. "Belleville Area Humane Society is extremely grateful for the continued support Purina provides," said Katie Nelson, executive director, Belleville Area Humane Society. 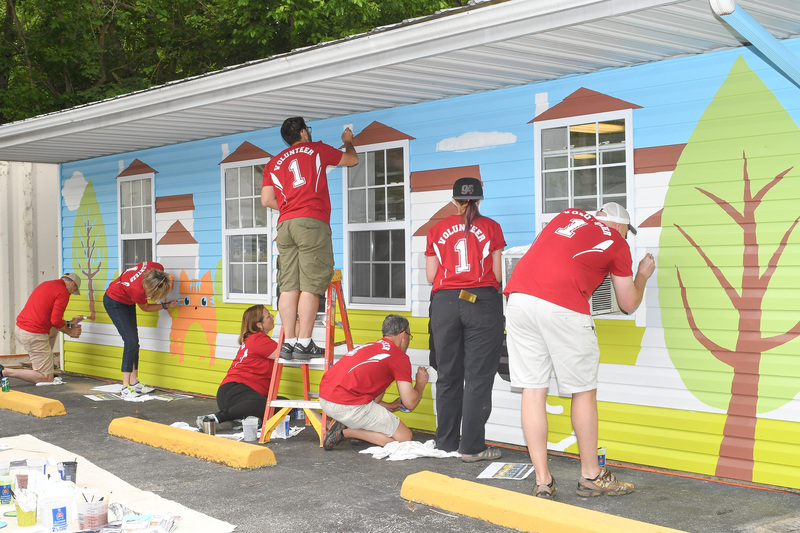 "Impacts of the volunteer work will be long lasting, including a creative pet mural to match one Purina designed and painted for us several years ago on PetCare Pride Day. In addition, Purina has helped us with improvements to the inside and outside of the shelter, and their generosity is critical to our operation." 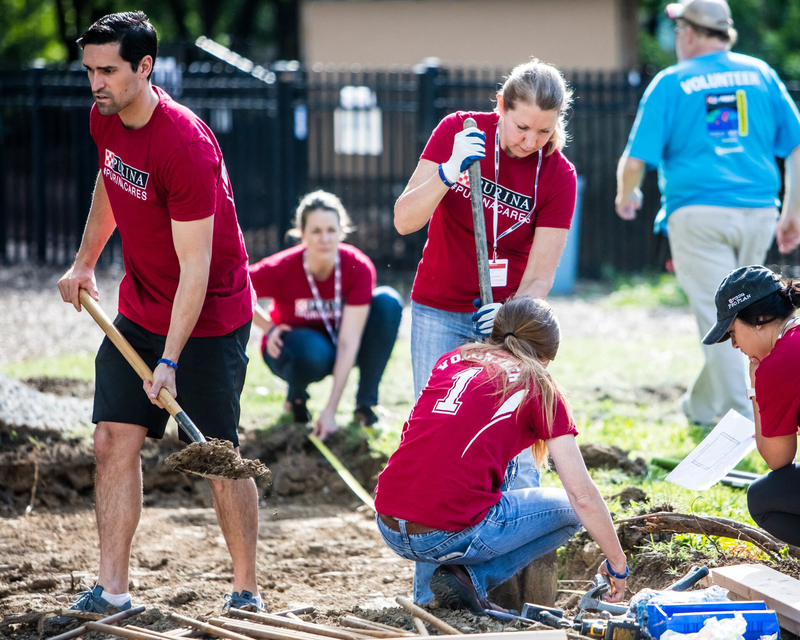 The Frenchtown Dog Park project was the largest event of the day, with Purina providing 100 employees to transform the space and making approximately $30,000 worth of upgrades, including the addition of new fencing, shady places to rest, agility and exercise equipment and landscaping. Rescue Rebuild, a volunteer program of Greater Good that works to renovate animal shelters and dog parks, partnered with Purina on the project. "We are so happy and humbled by Purina's gift to our neighborhood by enhancing the Frenchtown Dog Park," said Julia Mittelstadt, Frenchtown Dog Park Board Member. "These upgrades will greatly benefit our members by creating fun things to do at the park and a comfortable space for dog guardians on those cold winter days. It will also help make our space much more attractive to our neighbors." 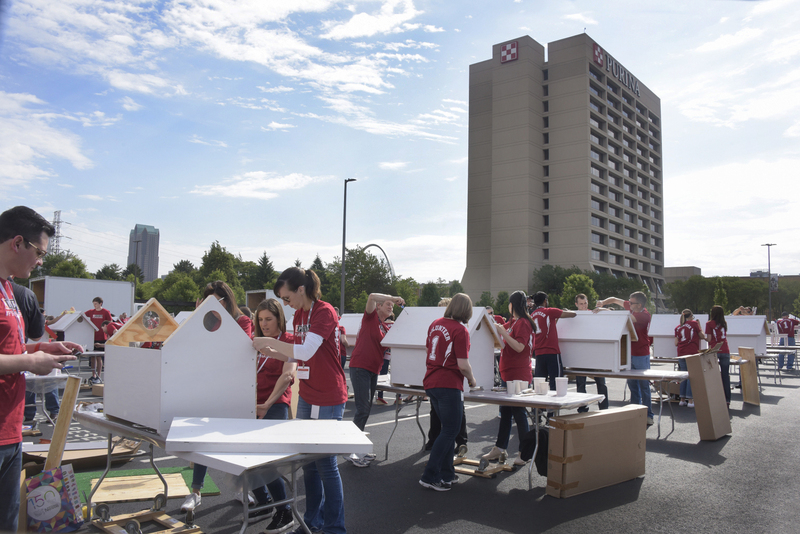 In addition to service projects at local organizations, Purina employees also volunteered at their downtown campus by making more than 500 items for area pet shelters, including dog houses, pet beds and blankets; assembling 1,000 new pet owner adoption kits; and packing nearly 9,000 ready-to-eat meals and care kits for non-profits that serve St. Louisans in need. Purina is also making a monetary donation to several area non-profits totaling nearly $20,000. "Purina's roots in St. Louis go back 120 years, and we're passionate about supporting our hometown and all the communities where we live and work," said Nina Leigh Krueger, president, Purina. "PetCare Pride Day is one of Purina's most treasured traditions, and St. Louis is a very pet-friendly city. It's an honor to be able to directly connect with wonderful organizations in our community and help them in their respective missions to advance the lives of people and pets in the St. Louis area." 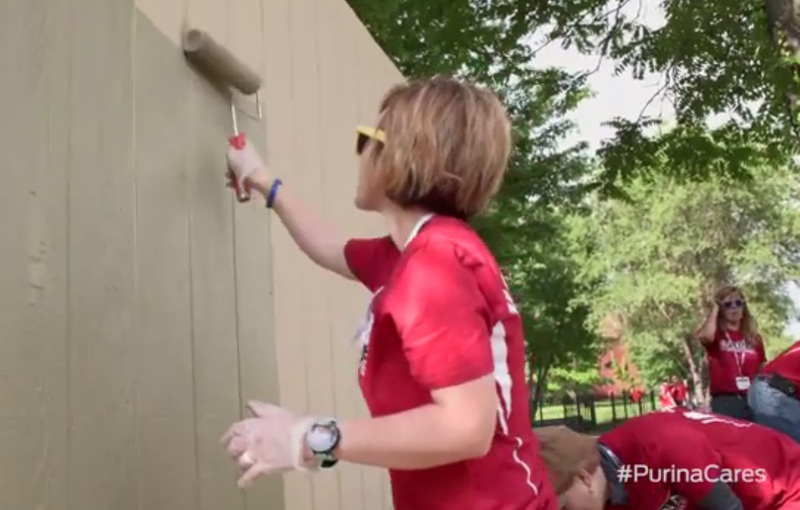 PetCare Pride Day is one of many ways Purina supports local communities where its employees live and work. In 2016 Purina donated $31.2 million worth of pet food, pet supplies and monetary contributions to pet-related charities and community organizations across the country – bringing the company's donations to more than $90 million during the past three years alone.